Every year, Baselworld – the world's biggest annual watch and jewellery fair – takes place in Basel Switzerland. 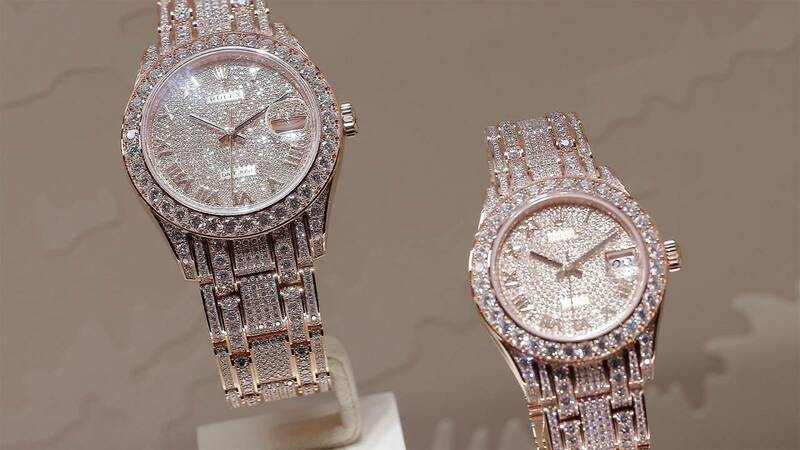 Since 1917, it has showcased luxury watches, high jewellery, loose diamonds and gems. This year promises to be the beginning of a new era for the fair with a new extension to the exhibition centre (designed by the Swiss architecture firm Herzog & de Meuron). We spoke to Michel Loris-Melikoff, Baselworld’s new managing director. "We took the achievements, the positive things of Baselworld. Of course, we keep on working on those. But for me, it was really important to begin this transformation. I think that, in general, all shows must be reinvented. In the sense that digitalization concerns us all. Everybody uses their smartphone to make purchases, to book a taxi, to do their banking transactions and, in the end, smartphones also revolutionize fairs and the exhibitions' business". Digital evolution and choices made by brands have changed the rules of the game at Baselworld, where there are more than 500 exhibitors who, year after year, try to reinvent themselves. "It's true that we've had a bit of a revolution in the past with the smartwatch, the connected watch. And it's true that today a watch is no longer important just to tell the time. Today we have to reinvent ourselves, the Swiss watchmakers, us, we are a watchmaking art. What we create are artworks" said Swiss luxury watchmaker Hublot's CEO, Ricardo Guadalupe. The biggest change to exhibit will come in 2020 when the show will immediately follow in the footsteps of the iconic SIHH of Geneva by allowing press and retailers to attend both major trade events.